My husband and I arrived home from Ireland late last night. During our trip, we ate at a restaurant who had soft boiled eggs with truffle oil as a starter dish. Being eggs and truffle are two of my favorite words when it comes to food, I had to try this savory dish. It was mind blowing and I instantly thought to myself, how amazing would an egg salad be with the flavors of truffle. 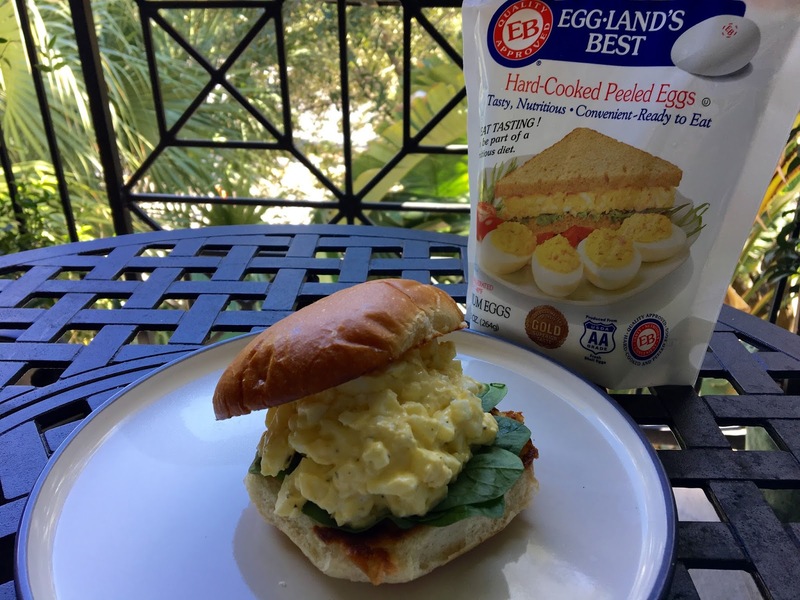 Let me tell you, egg salad will never be the same. Adding truffle oil to this popular comfort food brings on a whole new flavor. 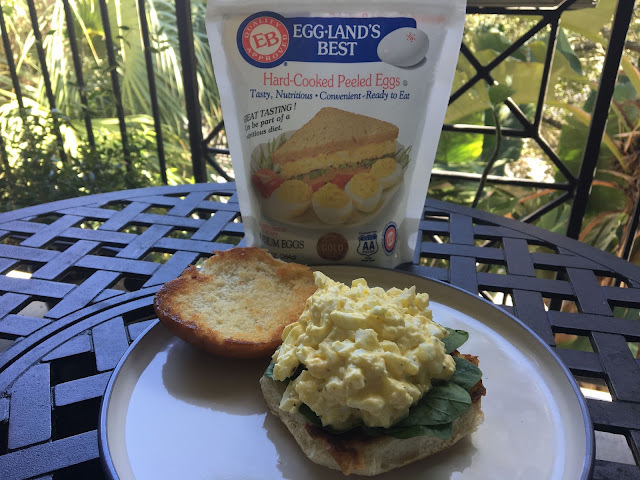 Not only is it super easy to make, it is much healthier than traditional egg salad being you use truffle olive oil in place of the majority of mayonnaise. Place 8 Egglands Best hard cooked peeled eggs in a medium bowl. If you have an egg slicer, use it to get a good cut on the eggs. Add the truffle oil, mayonnaise and mash using a spoon until the egg yolks are smooth. Carefully season with truffle salt - you do not want it to be too salty and this stuff is strong. Place 1/4 cup of the mixture on toasted buns. You can add spinach, tomato or even bacon, it is up to you! Using Eggland's Best Hard-Cooked Peeled Eggs is the easiest and most nutritious way to make egg salad. You don't have to deal with the headache of boiling and peeling eggs. Plus you get all the nutrition Eggland's Best offers!